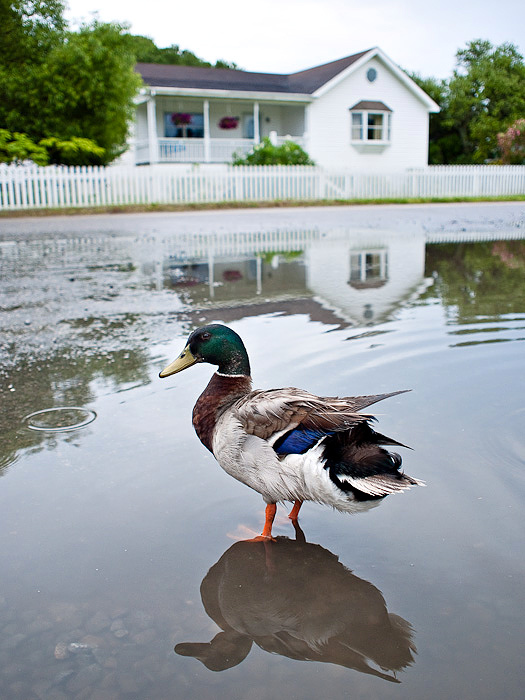 Mallard drake in rainwater pool in the parking lot of the Ocracoke Lighthouse, Ocracoke, N.C. | Panasonic Lumix G1 and Olympus 17mm f/2.8 lens; exposed 1/2000 sec. @ f/2.8, ISO 100. On our last morning in the Outer Banks, Elizabeth and I revisited the Ocracoke Lighthouse, which is a relatively stout structure compared to the other lighthouses in the area, and featured a light that does not rotate, but is visible from 360 degrees around it. Overnight and into the morning we were visited by some heavy thunderstorms and showers, and as we pulled into the parking lot for the lighthouse, we were greeted by three Mallards. This drake was posing for us as we made our way over to the lighthouse. 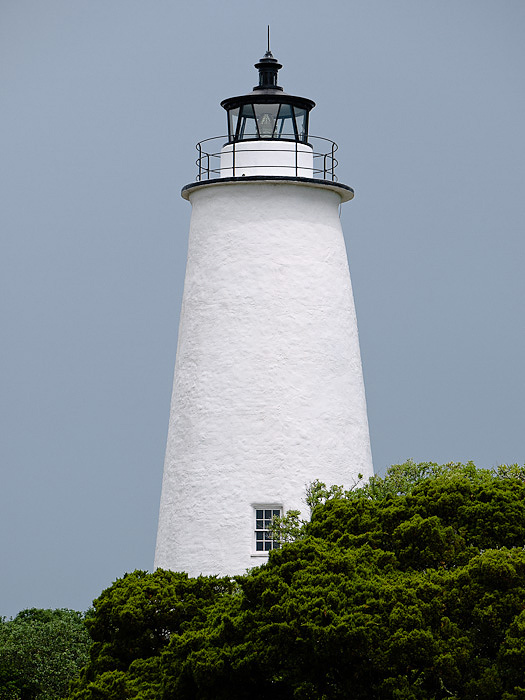 Ocracoke Lighthouse, Ocracoke, N.C. | Panasonic Lumix G1 and Lumix 45-200mm f/4-5.6 lens @ 97mm; exposed 1/320 sec. @ f/8, ISO 100.